What Should I Do if My Boyfriend Is Hinting About Marriage? Figure out what you want from your relationship. Hangouts with your girlfriend now regularly involve discussions of white dresses and wedding bands, which may leave you feeling uncomfortable. While your girlfriend may be contemplating a long-term possibility for your relationship, she could also be interested in getting married in the near future. There are several ways to handle a girlfriend who keeps talking about getting hitched. In high school and college, marriage may be one of the furthest things from your mind, even if you are satisfied with your girlfriend. You might start a conversation about her feelings by saying "You mentioned having a wedding last week. Are you wanting to get married soon?" If your plans differ from hers, you can follow up by saying "I don't feel ready for that step yet. I would like to graduate before I get engaged," according to the TeensHealth article "5 Ways to (Respectfully) Disagree." Maybe you do see yourself tying the knot with your girlfriend, but there are several things to think about before popping the question. Having an idea of when you would like to marry and how the two of you will manage issues such as finances, work, children and disagreements is important, according to the article "Must-Have Conversations" on ForYourMarriage.org, a service of the United States Conference of Catholic Bishops. Your intentions for marriage are also important. Getting married to keep a girlfriend happy or in the hopes that it will improve your relationship can lead to disappointment, according to the TwoofUs.org article "Before You Say I Do." Maybe you see yourself eventually marrying your girlfriend and maybe you don't. It is okay to take your time and think about your desires. In the meantime, let your girlfriend know how you feel. You might say "I love and care about you. Right now, I'm enjoying our relationship, but I don't know if I want to get married in the future." If marriage continues to come up, you can also tell your girlfriend "It makes me feel uncomfortable when you mention getting married because I'm not sure how I feel about it," according to "5 Ways to (Respectfully) Disagree." In some cases, your girlfriend's intentions for marriage may mean that a relationship will not work in the long-term. If you do end the relationship, it is wise to do so in person and in private, according to the TeensHealth article "How to Break Up Respectfully." 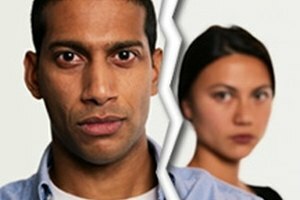 While it is fair to address the reason for the breakup, it is important not to be cruel or assign blame for the breakup. You never know what the future might bring -- including whether you and your girlfriend will someday be together again. TwoofUs.org: Ready ... or Not? How Does a Guy Know He's Ready to Commit? Coleman, Candice. "What Should I Do if My Girlfriend Keeps Talking About Getting Married?" Synonym, https://classroom.synonym.com/should-girlfriend-keeps-talking-getting-married-8932.html. Accessed 19 April 2019.